California State Parks invites the public to start 2019 in a healthy way by connecting to nature. 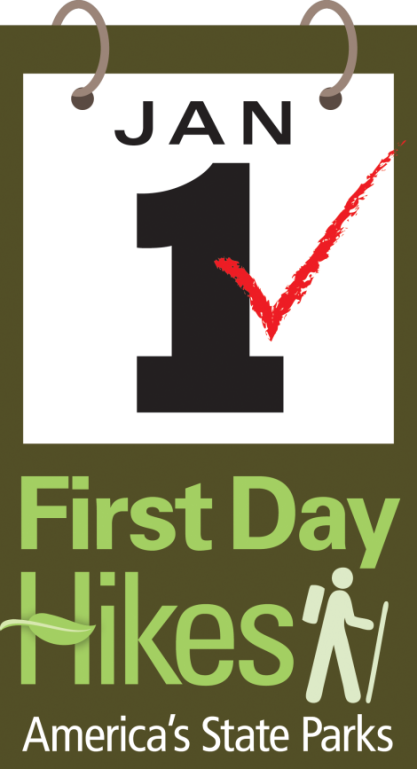 What better way to do so than participating in the eighth annual First Day Hikes? This year, close to 50 state parks are scheduled to host more than 60 hikes and outings on New Year's Day, Tuesday, January 1, 2019. First Day Hikes around the U.S.
California is a leader in the national First Day Hikes program, in which state parks in all 50 states and Canada participate. Hope you can join us! Share your photos with us on our social media accounts – Facebook and Twitter – and hashtag your hiking pictures with #FirstDayHike, #HikeInto2019 and #CAStateParks. First Day Hikers hiking along the tide line at Carpinteria State Beach. Hiking along the tide line at Carpinteria State Beach. 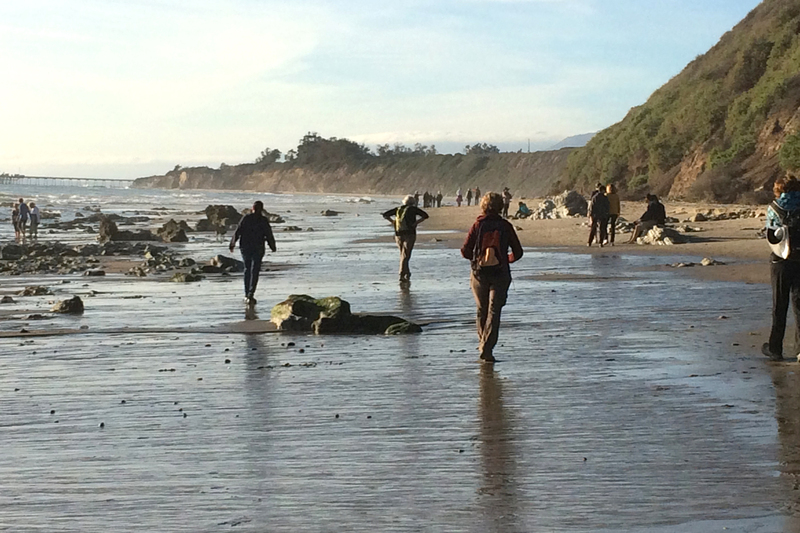 Join us for an approximately 6-mile round trip moderate hike along the bluffs and beach. Hikers will make a stop at the seal rookery, tar pits, and see other interesting points along the way. Hikers gather for a group photo at Anderson Marsh State Historic Park. 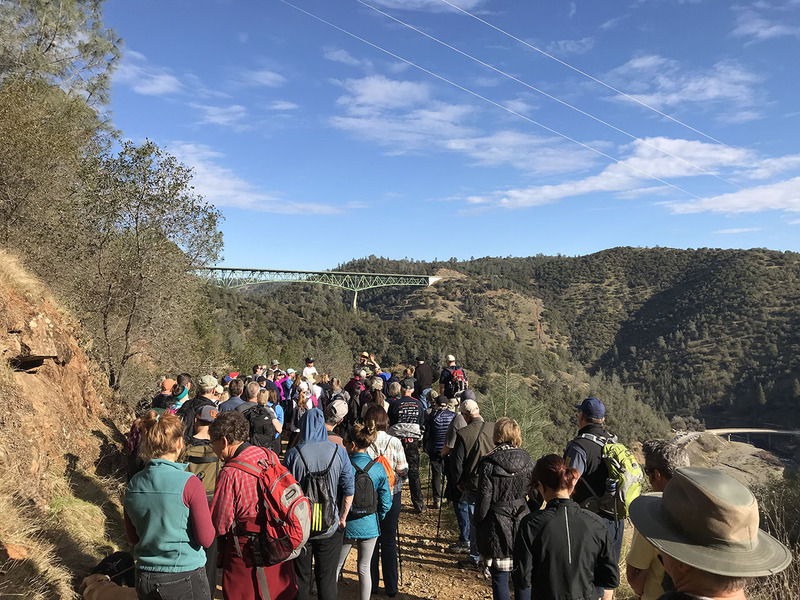 The park will offer two options as hikers will experience grasslands, oak woodlands, willow and cottonwood riparian habitats and the tule marsh habitat of the Anderson Marsh Natural Preserve. Visitors may encounter a variety of migrating and resident birds and other wildlife. Anderson Marsh State Historic Park Hikers on its First Day Hike. 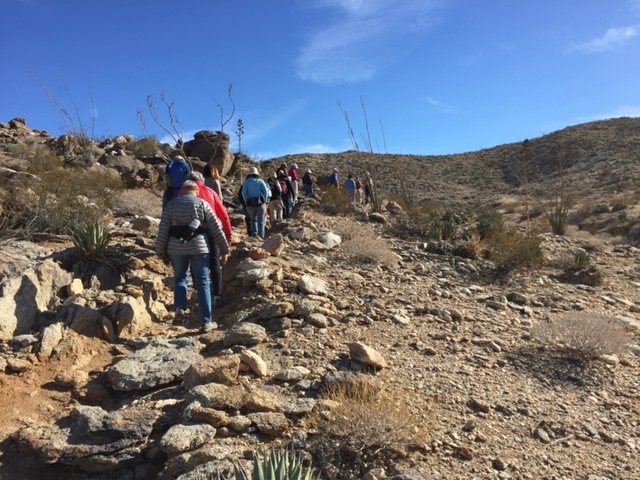 Visitors hike through Red Rock Canyon State Park on its First Day Hike. 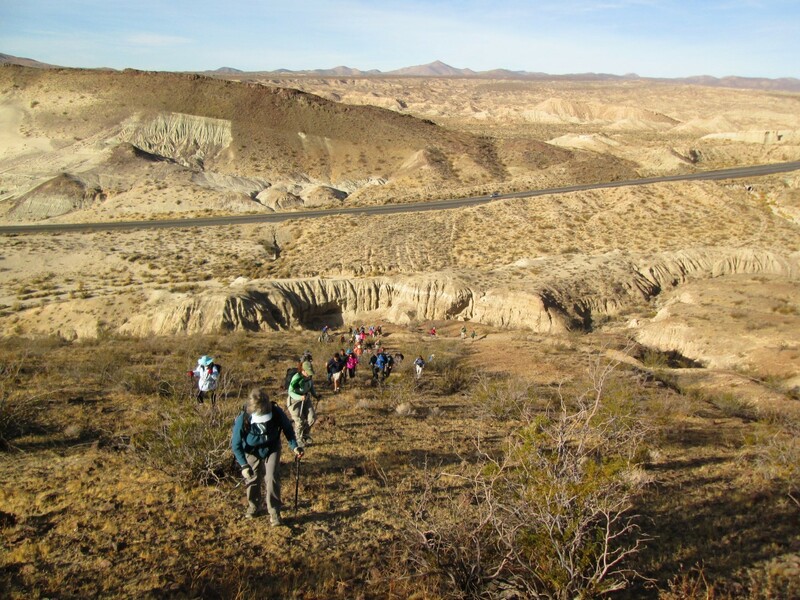 Hikers work their way across the landscape on a hike at Red Rock Canyon State Park. Take an all-day 9-mile moderate-to-strenuous hike into Nightmare Gulch with a side trip into the well-hidden “Secret Silent City.” The strenuous route option begins with a scramble over three ridges to enjoy the fabulous views. 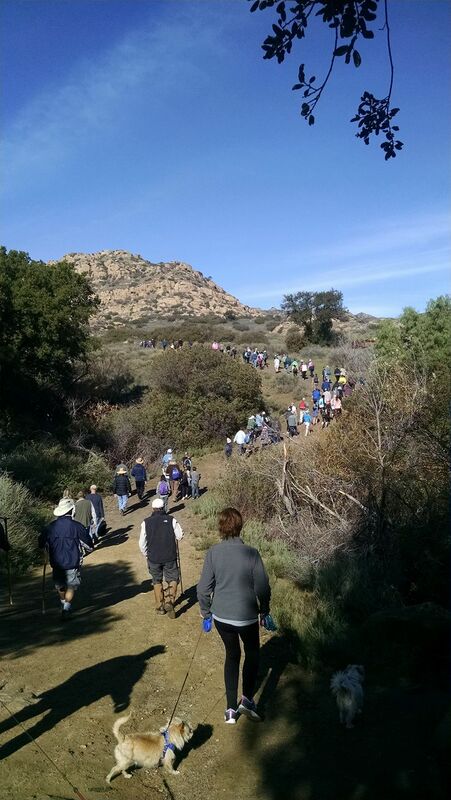 A large group of hikers makes their way through Santa Susana Pass State Historic Park. Hikers can see soaring sandstone formations that are affectionately referred to as stone cathedrals. The park’s otherworldly terrain has been compared to the planet Mars. A large contingent of hikers enjoy a First Day Hike at Santa Susana Pass State Park. Scott Liske at Auburn State Recreation Area with First Day Hikers.